There is a better place to sleep and it’s our mission to share it. It’s a sleeping environment made of organic cotton fabric, wool, plant fiber and layers of cotton on top of pocketed coils. A natural setting where the air to your body breathes and cools so you can sleep deeply. It is a place without foam. 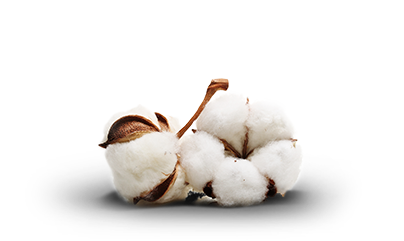 Nobody has ever been able to equal Mother Nature’s amazing qualities inherent in cotton, wool and other plant materials. Her special fibers allow air to flow, so they breathe, which is vitally important when designing a mattress. When the air flows, it helps to remove excess body heat away from your body and move fresh air back. Natural fibers also pull excess moisture outward, and away from your body where it can evaporate. Not only does this keep you fresh, dry and cool when you’re sleeping, this helps keep your mattress clean on the inside. This is because a dry environment is inhospitable to microbes that like warm, damp homes to grow. Learn More About Cotton & Wool. Only Mother Nature created materials with these abilities. That’s why we made natural materials the foundation for our mission. Foam falls short and is not equal to natural fibers. And natural fibers are…well, natural. Natural fibers have no issues with chemicals, toxins, or questions about your long-term health. Learn the Truth About Foam. We were not the first company to figure out natural materials are the best. Luxury brands have been making mattresses with these materials for decades. But natural materials are expensive, hard to work with, and so they’ve been limited to mattresses costing thousands of dollars. However, we are the first company to figure out how to create a mattress with the best natural materials at a reasonable price. So you’re now also able to consider a natural bed, too. That choice used to include paying a big premium price for a natural bed (not really a choice for most of us.) That problem has been eliminated and you’re now able to enjoy what’s best for you without having to dig deep into your pocket.